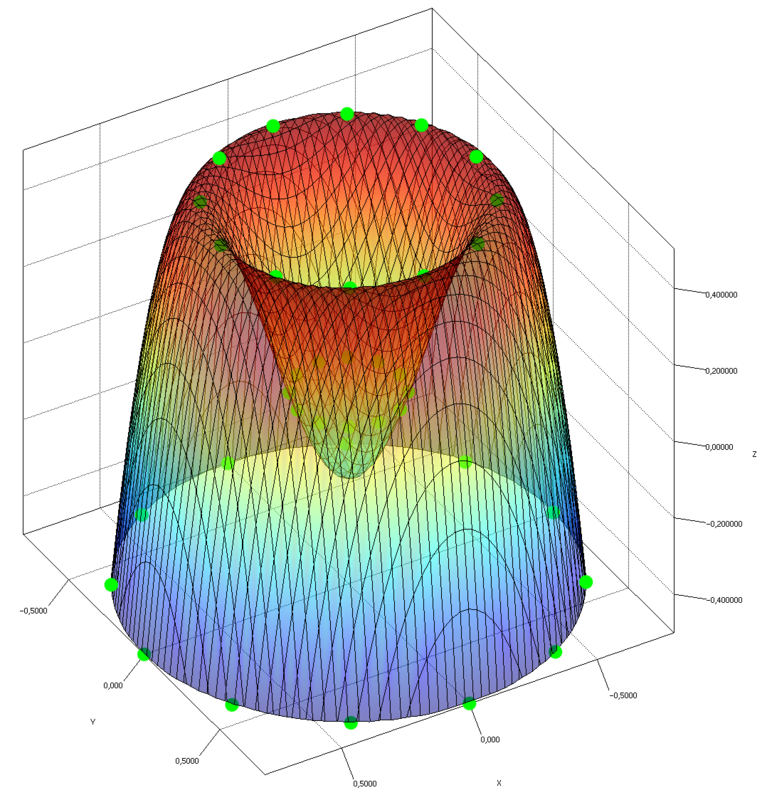 Jzy3d is an open source java library that allows to easily draw 3d scientific data: surfaces, scatter plots, bar charts, and lot of other 3d primitives. The API provides support for rich interactive charts, with colorbars, tooltips and overlays. Axis and chart layout can be fully customized and enhanced. Relying on JOGL 2, you can easily deploy native OpenGL charts on Windows, Unix, MacOs and integrate into Swing, AWT, SWT or JavaFX. Various contributions have also made Jzy3d available for other languages/platforms such as Scala, Groovy, Matlab, C#. The API can be used freely in commercial applications. You can download and try the API samples. A tutorial shows how to display scatters and surfaces. An extended developper guide with many code examples is also available. Hide complexity and provide out of the box solutions for common low level OpenGL tasks. Fully cutomizable framework with access to all OpenGL native features through JOGL. Jzy3d Enterprise SDKs provide out of the box solutions to hard 3d programming problems, avoiding to re-develop what has been done multiple time. We capitalize on multiple clients requirements to grow frameworks for software vendors that need advanced 3d charting without pain. Licence is very flexible with no royaltee. We gladly share updates of each SDK to their users. There are lite versions for small budgets which come without source code. SurfEdit let you edit surface mesh using a mouse click and drag. The surface is also presented in an excel-like table that is synchronized with drawing : table update when mesh is changed with mouse, surface updates when table cells are edited. The table has smart pair of column scroll and resize widgets to easily navigate on the 2d table-surface. Polar helps drawing spheric data. 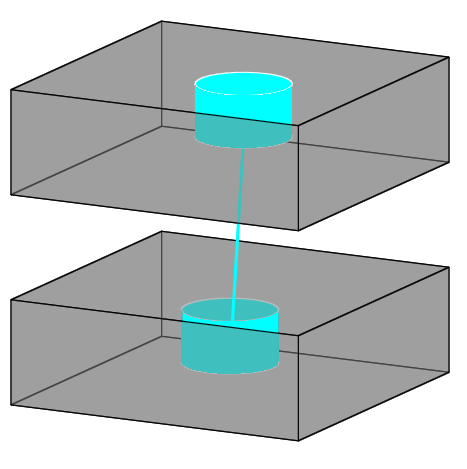 The toolkit provides dedicated sphere axis replacing traditional cube axis. Polar tesselation allows loading scan with increasing azimuth then elevation values. A dedicated polar dataset allows to easily make operations on the coordinates (arithmetic or conversions) . Contact us to get Polar. Envelope is an effort to build shape meshes out of unorganized input points. 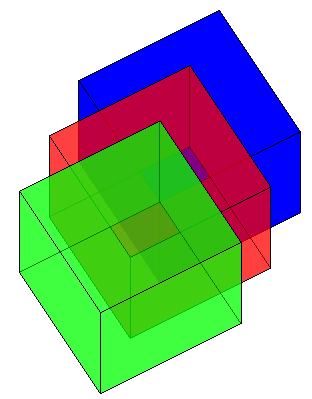 Building surface or shape meshes assumes a particular point organization as input (e.g. orthonormal tesselator requires point to stand on a regulat grid in increading X and Y order). When input points are not organized or scan logic is to complicated to implement in a tesselation algorithm, Envelope helps building the contour of a point cloud. Contact us to get Envelope. Open source extensions explore new usages and solutions for Jzy3d. Depth peeling is an advanced rendering technic to better draw intersecting translucent objects. 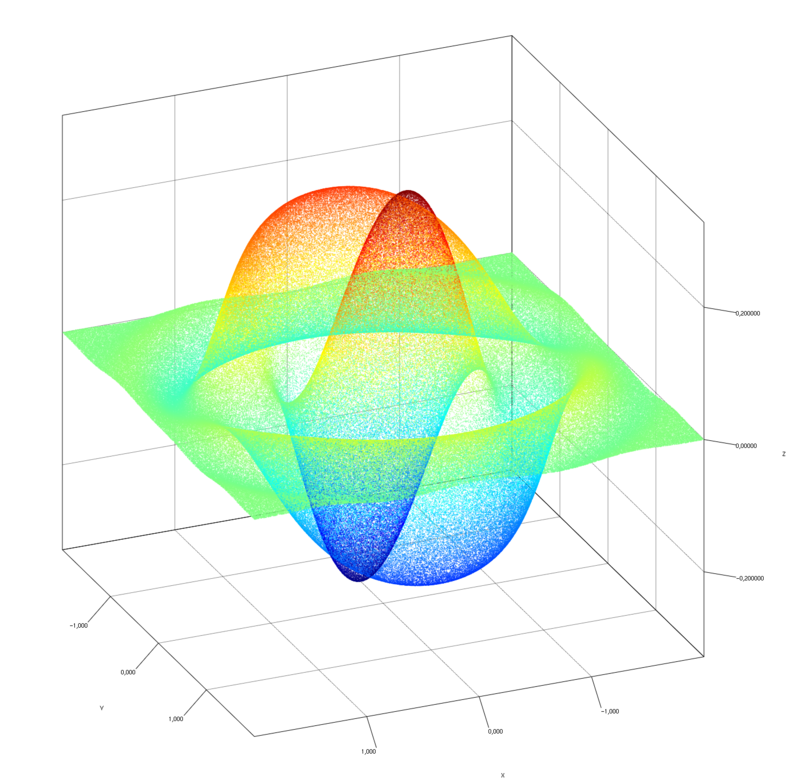 This extension is a port of NVidia algorithms for Jzy3d. 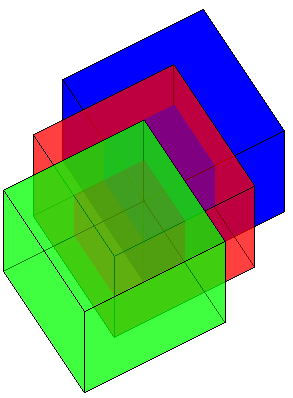 4 depth peeling variations are implemented using GLSL shaders and fragments. BigPicture provides few drivers to big data storage to help draw massive amount of points. You don't have to care about resultset size : chart won't freeze with dataset size. Drawables use OpenGL Vertex Buffer Objects to load data in GPU once and render smoothly afterward. Readers have been implemented for HBase, Hive and Spark. 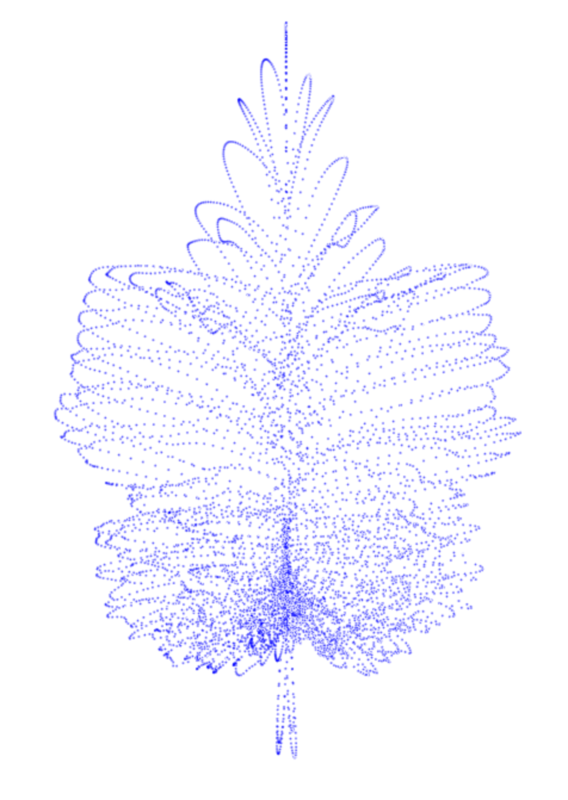 Graphs allows processing layouts of 3d graphs and draw them. We derive Gephi Toolkit and simply add a dimension to most of the existing force based layouts (ForceAtlas3d, OpenOrd3d). 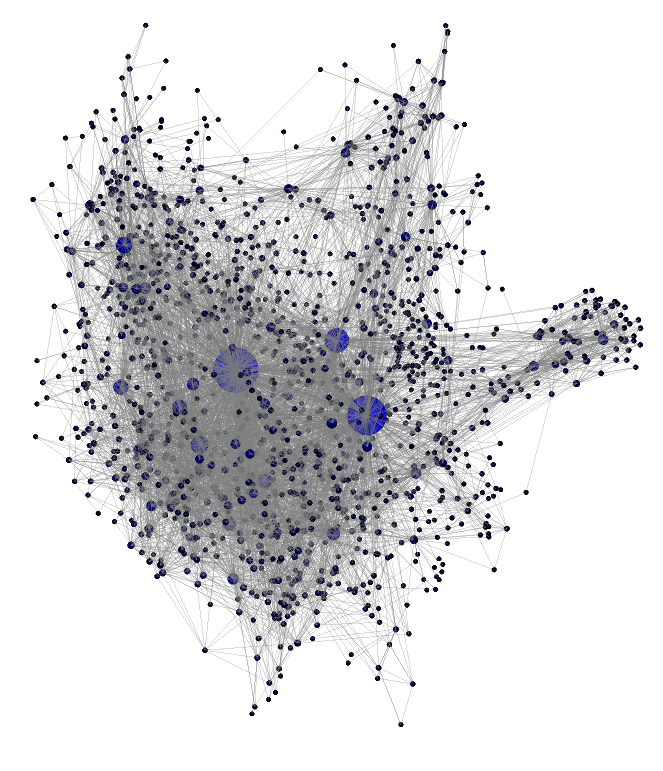 Demonstrations show how the Gephi Toolkit is wrapped to simplify data binding between Jzy3d and Gephi. Svm3D allows building a surface out of the regression of an input point cloud. Support Vector Machine can process good surface regression of N-dimensional vectors. 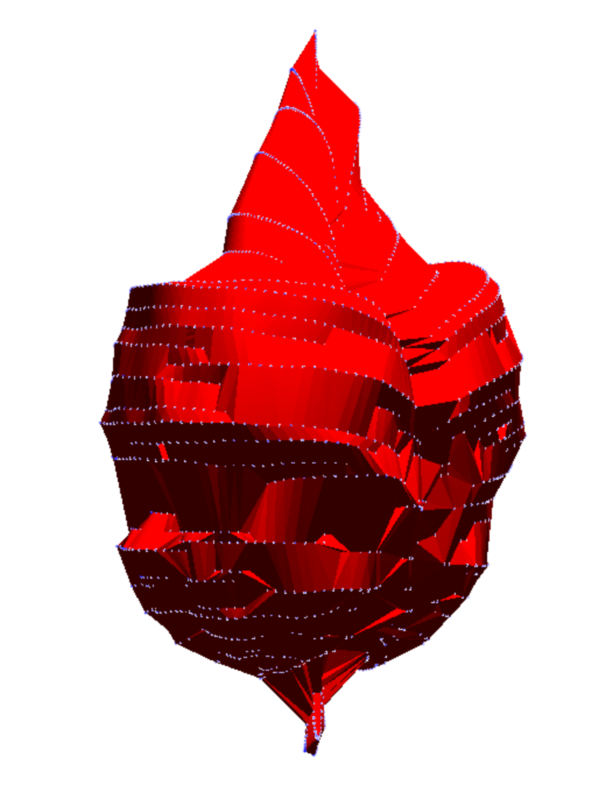 Svm3d estimates a surface from an input 3d scatter. 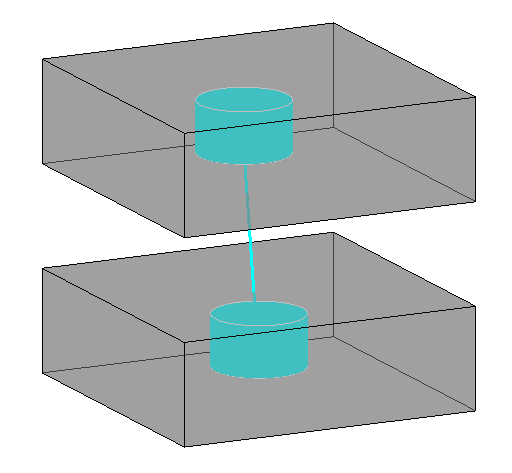 The estimated surface minimize a global error to input training point. This extension is based on the Java port of LibSVM which allows retrieving and drawing the model internal state.